We startled this little squirrel as it was searching for food at the base of a tree in a state park. 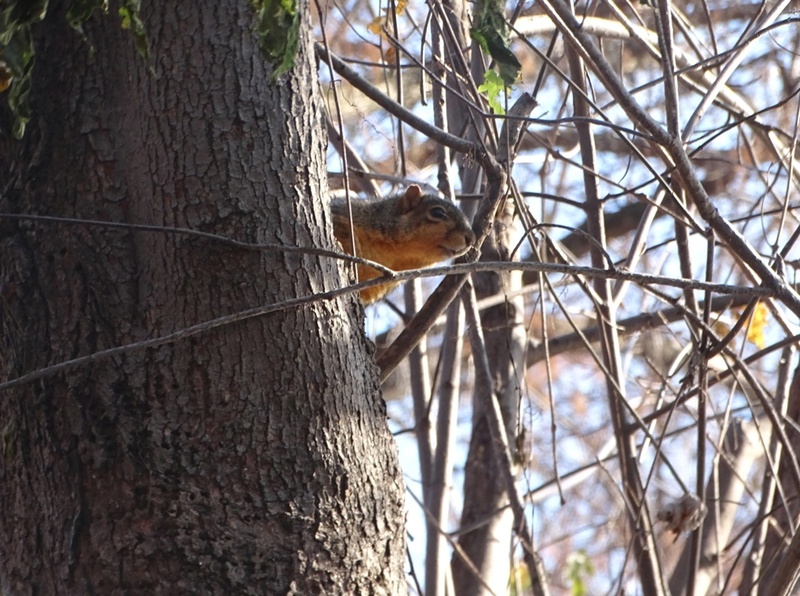 It frantically scampered up the tree trunk and hid on the other side. As we continued walking, I looked back and caught it peeking out to see if the coast was all clear. 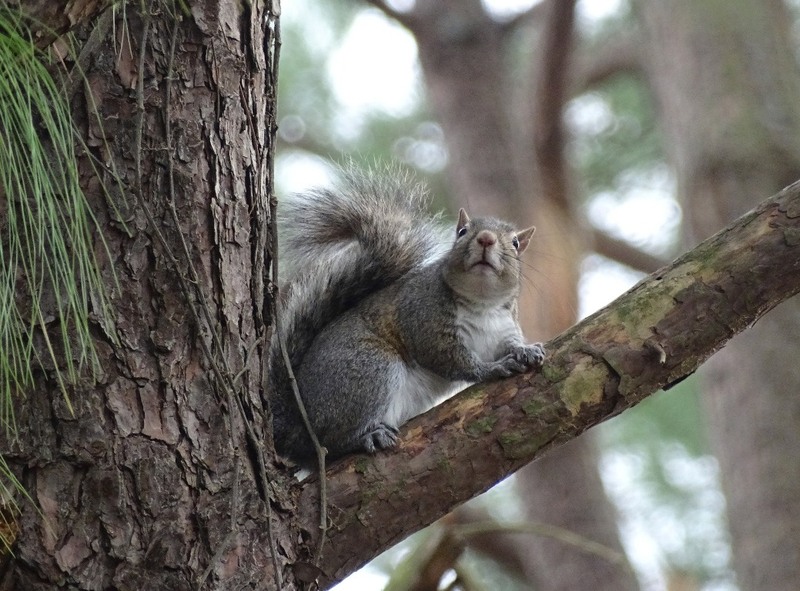 I was watching this squirrel scamper about in a pine tree, when suddenly he stopped and turned to look at me. I guess that we were both a little curious. 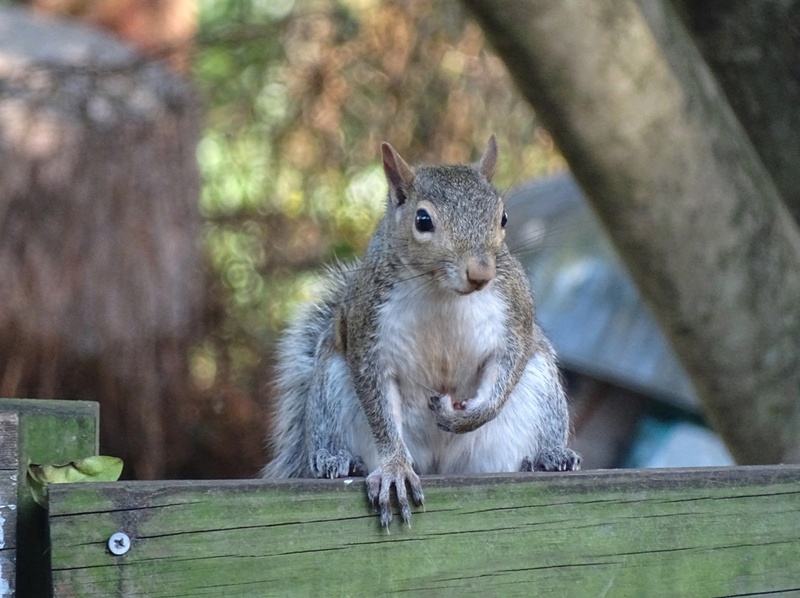 Some squirrels don’t like having their photo taken. I liked this little squirrel’s attitude. He decided that if he was going to have his picture taken, he was going to put his best foot forward and show his good side.